There is a ´Late Night Happy Hour´, running from midnight until closing. 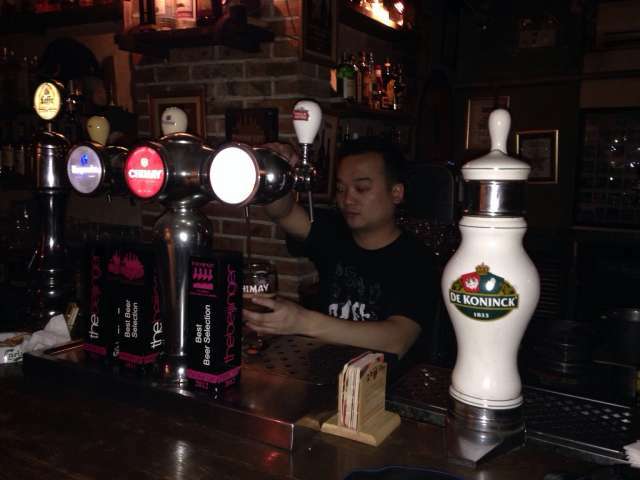 All brewed beers and house wines at happy hour prices. 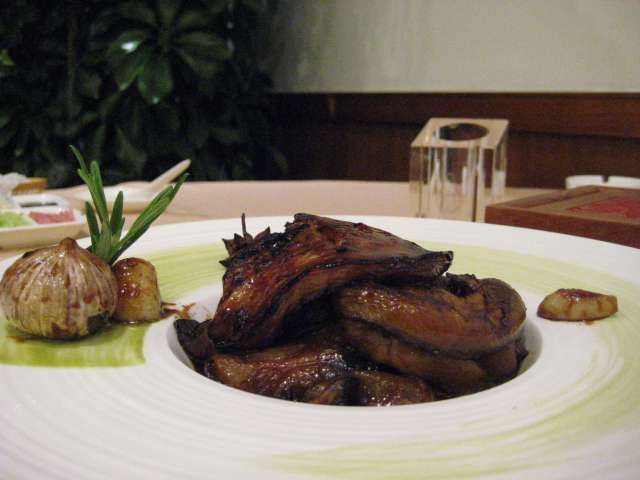 Try the famous duck. The skin of the duck is crispy and the meat is tasty, and each roast duck is served with an array of condiments, including sweet wheaten sauce, granulated sugar, crushed garlic, thin slivers of scallions, red turnips and cucumber. 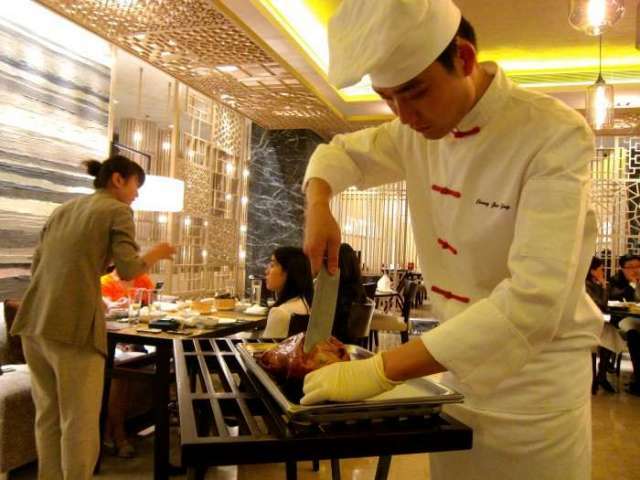 If you want to get the full experience, request them to cut the duck on your table, which is quite an interesting procedure. You´ve never had pork knuckles? You are in Beijing. That´s not really a problem - they are delicious here. 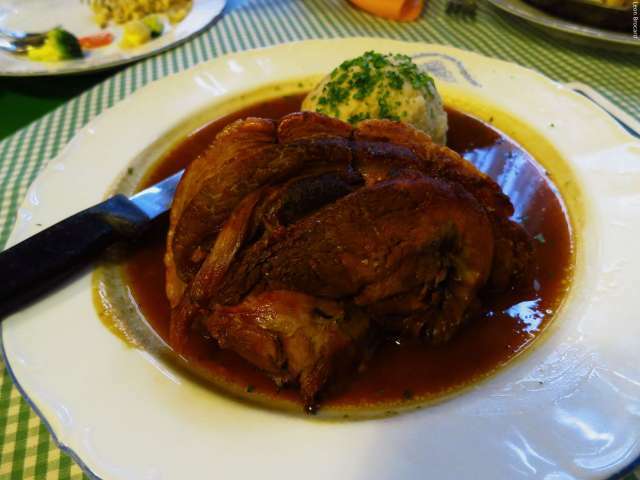 Served with 'Spaetzle', Swabian noodles.